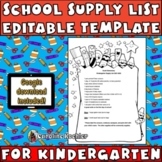 This is an editable school supply list to send home to parents. 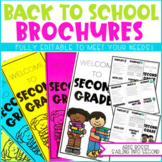 Add flair to this year's school supply list with this editable template! 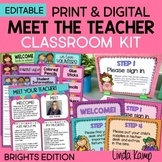 Included are headers for each major content area. 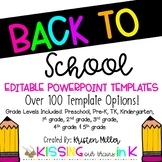 Template is editable to fit your courses and supply list needs for ultimate customization! 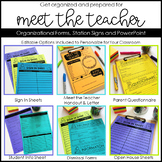 Want your Welcome letter and school supply list to match and look professional? This is perfect for a template to make it profession and in half of the time! 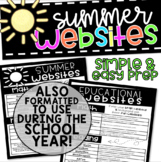 Save Time with this template form! 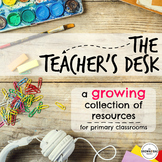 Black and White and color editions are all available! 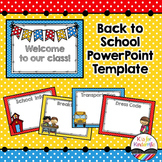 School Supply List Example for Kindergarten: Editable Download! 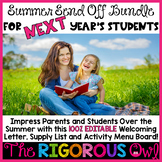 Editable Template for school supply list/letter to send home with next year's students! 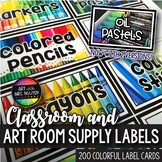 All you need to do is add your name and personalize your supply list! Click the red text to begin! If you like the list already there for you, simply type in your name, turn the red text to black, and print! 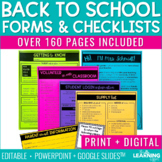 This is an editable school supply list. 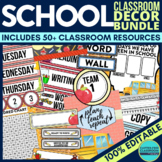 You can customize the supply list to however it best fits your classroom needs. It's an adorable template, that I love utilizing each year. There are two, supply forms on one sheet of paper which cuts the number of copies you in in half! Enjoy! 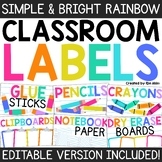 This fits Avery labels (unsure what size) and I thought it would be a great way to remind parents what to send to school for the first day. I can customize for you if you would like just message me and will discuss further. 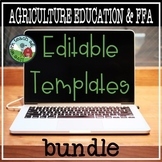 FFA and Agriculture Education EDITABLE Templates BUNDLE!